trusted and well respected names in the v-twin performance business. 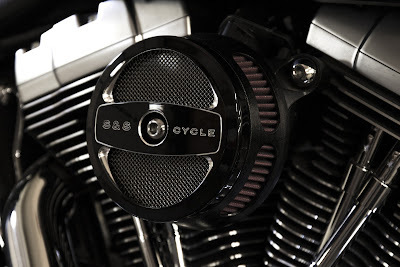 Now S&S developed an EC-approved stealth air cleaner kit for Dyna and Softail models up to 2016 and Sportster with EFI (2007-16). Retail price is 229,84 € (+VAT). Covers need to be ordered separately. The EC-approved stealth air cleaner kits by S&S are exclusively available at Drag Specialties/Parts-Europe-dealers only. You will find the nearest dealers easily online: www.partseurope.eu/cms/en/dealersearch.